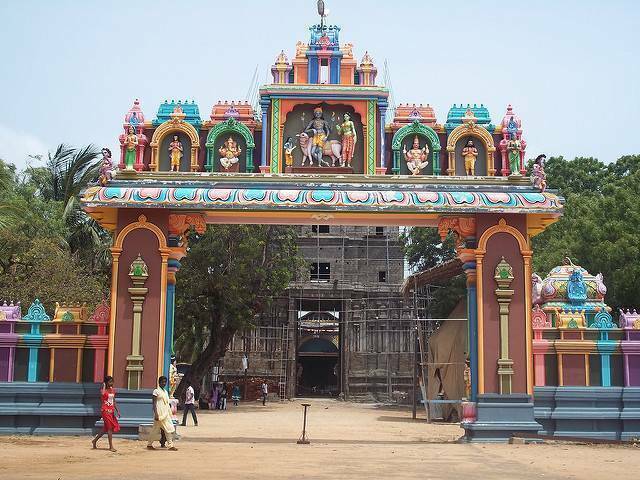 The Naguleswaram Temple located close the Keerimalai Hot Spring, is also called as Keerimalai Naguleswaram Kovil. This temple is dedicated to Lord Shiva and it is one of the five consecrated temples in Sri Lanka. The history of this temple dates back to even beyond the times of Ram and Ravana. This shrine is blessed with the three attributes of deity, temple premises and source of water which provides it a unique status according to Hindu religion. This temple conveys a strong spiritual energy. It is worshiped by both the Hindus and the Buddhists alike which is a symbol of their mutual harmony. The architecture and interior of this temple is quite good but not as magnificent as some other temples found in Sri Lanka. This temple is currently undergoing renovation. The historic and religious significance of this temple is indisputable and thus makes it an important place for the pilgrims.